We have put together a beautifully presented book documenting the trials and tribulations at Standard Triumph during the development, launch and production of ZOBO – the Triumph Herald. All proceeds, from this book, will benefit the Standard Triumph Works Archive. Featuring over 150 rare period photographs, articles and memorabilia this Limited Edition book takes a look into the incredible journey of the Triumph Herald – against all the problems of suppliers, cashflow, management and disruption at Standard Triumph – the popular Triumph Herald came out on top! The book follows a month-by-month timeline from the initial concept through the first years of production and up to the takeover by Leyland Motors in 1961. Featuring key dates and cars this is a fantastic resource and must for fans of Standard Triumph and the Triumph Herald. 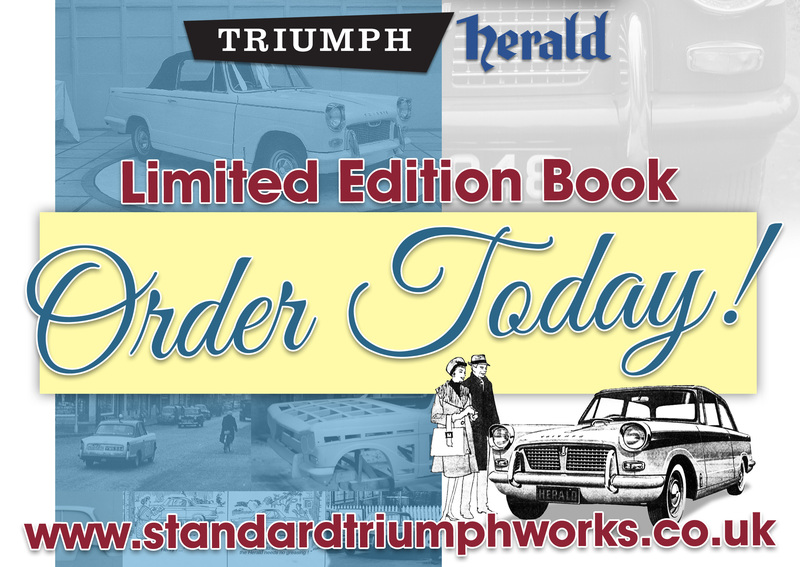 Order Yours Today – with all proceeds supporting this Standard Triumph Works Archive. Thank you.